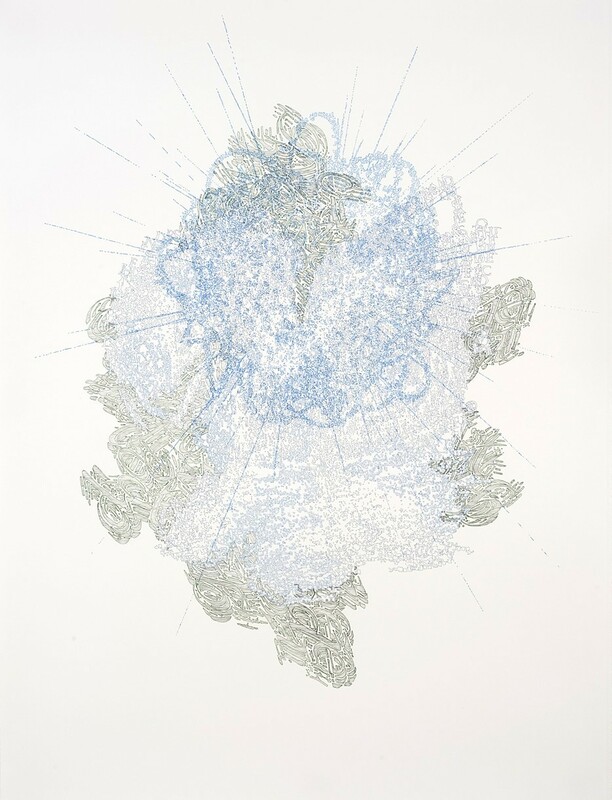 The University of Maine at Presque Isle’s Reed Art Gallery will present UnREEDable Words, an exhibit featuring works on paper by Todd Camplin, from August 28 through October 6, 2017. The public is invited to view the exhibition throughout the show’s run and attend the Gallery Reception on Friday, September 1, from 5-7 p.m., which is being held in conjunction with the First Friday Art Walk. UnREEDable Words features ink drawings on paper. 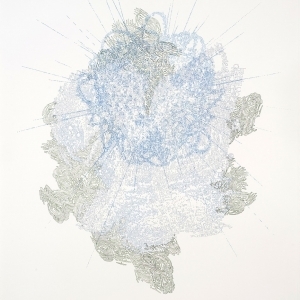 A Texas-based artist, Camplin said his work is about abstracting text into objects and images. Camplin said that after he’s read a text a few times, the meaning changes—“I am able to clear up the visual impairments through the act of repeating the readings”—and that something similar happens with his artwork. Camplin earned his Bachelor of Fine Arts degree in Graphic Design from Western Kentucky University in 1998, his Master’s degree in Arts and Humanities from the University of Texas in Dallas in 2006, and his Master of Fine Arts in Drawing and Painting from the University of North Texas in 2010. He has participated in many solo, group, and juried exhibitions throughout Texas. His work has appeared in galleries in Texas, Kentucky and Louisiana, as well as in several print reviews, and has been featured at charity events and art fairs. He also has curated several gallery exhibitions, taught painting and drawing classes, and written critical reviews of the art in the Dallas-Fort Worth area on ModernDallas.net. All are invited to view the show between August and October and to come out to the First Friday Art Walk on September 1 and take part in the free reception. Light refreshments will be served. In addition, UnREEDable Words will be open during the First Friday Art Walk on Oct. 6 from 5-7 p.m. Please follow gallery happenings on the Reed Gallery Facebook page, www.facebook.com/ReedArtGallery.